From top equine athletes to beloved pets, all horses need plenty of water to stay healthy. Dehydration is the leading cause of impaction colic. And proper hydration is a key factor in your horse’s ability to absorb nutrients and perform at full potential. Every horse needs 8-12 gallons of water per day (depending on size and other factors), no matter what the time of year. The bad news is that many horses just don’t drink enough water in colder weather. Especially if the humidity is high, a horse’s thirst mechanism doesn’t always work as well as it does in summer heat. Here are some great strategies for encouraging your horse to consume more water in winter. 1 Always make clean, fresh water available to your horse. 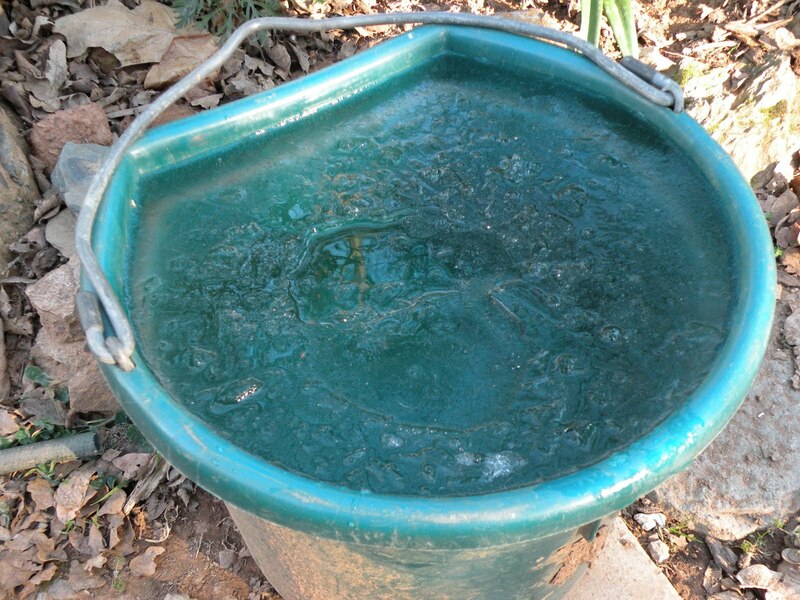 If the weather is below freezing (even just at night), be sure that your horse’s water isn’t frozen. Even a thin layer of ice can prevent her from drinking. Either use a heater to keep the water above freezing or break the ice regularly to allow access to the water below. Would you drink the water you expect your horse to drink? Water should always be fresh and in clean buckets or troughs. Your horse should have access to water all the time, not just in the stall. If she spends part of her day in a turnout paddock or pasture, be sure there is lots of clean water out there for her to drink. Bucket and trough heaters aren’t just to keep water from freezing. Many horses prefer to drink water as warm as 80 or 90 degrees Fahrenheit. If you don’t have a heater, you can simply pour in some hot water to warm up a cold supply once or twice each day. If your horse has a sweet tooth like so many do, it’s easy to make drinking more appealing. There’s an added benefit to flavoring your horse’s water: It can ease the problem many people have with finicky horses who refuse to drink unfamiliar water. When your horse travels to shows, clinics, and other adventures, you can use the same flavoring to make the water taste like home. 4 Provide free access to a clean salt and mineral block. Salt improves a horse’s natural thirst and also helps her store the water that she drinks. There are many different types of salt blocks and many ways to make them available to your horse. Choose one that either hangs or fits in a manger or feed pan. Salt blocks left on stall floors get very dirty quickly. Talk with your vet about what type of salt and mineral block would best benefit your horse. 5 Add some salt to your horse’s diet. Perhaps you prefer to know and control just how much salt their horses consume each day. It’s easy: add salt to her grain. 1 teaspoon of salt fed twice per day with grain benefits the average horse. Ask your vet how much salt your horse should have. Be careful to read the ingredients of your grain and supplements so you don’t accidentally give her too much. Some feed and tack stores sell salty treats for horses, another great way to control your horse’s salt intake. Read the ingredients to be sure you’re giving your horse the amount of salt recommended by your vet. 6 Feed your horse wet food. Soaking your horse’s hay in water makes it easier to digest and adds moisture to her diet. A mixture of one part beet pulp to four parts water is another easily digestible and moist meal. Add molasses or apple juice to enhance the flavor. Be careful to soak the beet pulp at least 4 hours so that it expands in the bucket, not in your horse’s digestive system where it can cause serious problems. Simply adding water to your horse’s regular grain works too: Start with just a little water and increase a bit each day so that your horse becomes accustomed to the new texture. We hope that one or more of these strategies will help ensure your horse’s well-being by keeping her hydrated this winter. Contrary to the old saying, you can lead a horse to water… and maybe you CAN make her drink!